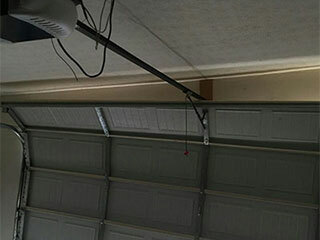 Have you been searching for a reliable company to repair your faulty garage door? You've found it! We're a local business with years of experience helping residential clients with the most common of all garage door problems - broken springs. Our technicians use their knowledge to repair or replace your springs safely. We pride ourselves on providing top-quality replacement parts and friendly and courteous service. It's a well-known fact that trying to repair your garage door springs by yourself can be extremely dangerous and isn't recommended unless you're a professional. Luckily, our skilled team of technicians is on your side and ready to help you, whatever the challenges you’re having with your springs. We have no problem fixing torsion or extension springs and travel with an inventory of both types in our well-equipped trucks. That’s great news if you need your garage door to be fixed in a hurry because it means we can get started on repairs without delay! When you choose Garage Door Repair Williamsburg for your repairs, we want you to be confident that you’ve made the right choice. Our ultimate goal is the safe operation of your garage door, and we won’t take on any project unless we can guarantee this result. We take every measure to ensure we do every spring repair according to industry safety standards. We thoroughly check the springs before replacing them and run safety tests once they have been installed, making the necessary adjustments to the tension settings, and verifying that the door can open and close with ease. The garage door springs we provide are genuine and made by trustworthy manufacturers. We even back them up with a comprehensive parts warranty. If you’re not entirely happy with the way they perform or if you find any defects in them, they'll be replaced without issue. We also guarantee that the work done by our technicians is of the highest quality, and the overall service experience you have with our company will be a pleasant one. Don’t hesitate to contact us for quality spring repairs and replacements handled by a qualified team!